Shyloh Belnap: Quick 4th of July Ideas! 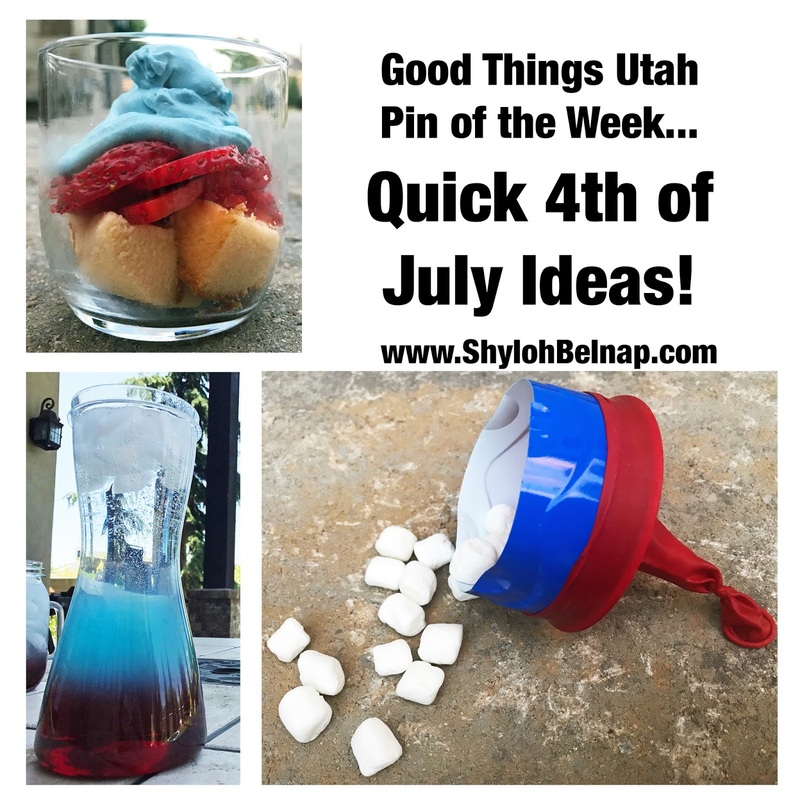 Quick 4th of July Ideas! With today being the Fourth of July, it is a good time to get some quick and easy last minute things together for your parties tonight! 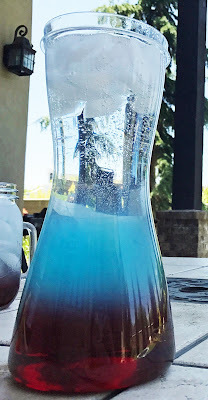 This pin has a fun punch that is perfect for entertaining and super yummy too! Fill the pitcher with ice. Pour in the cranberry juice. 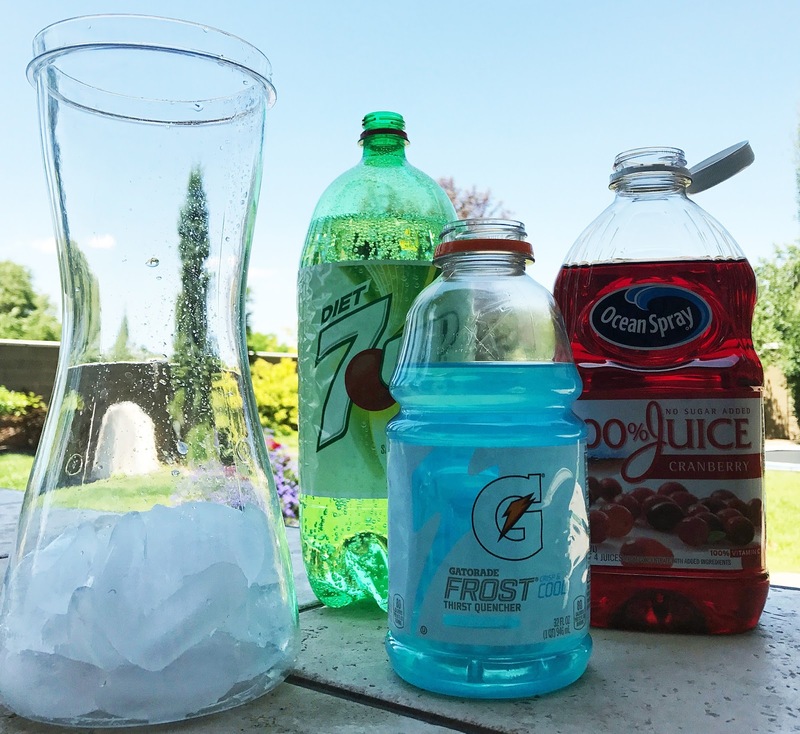 Pour the Gatorade Frost over the cranberry juice gently and on the ice so it doesn’t mix the drink. Pour the diet 7-up on top over the ice as well. 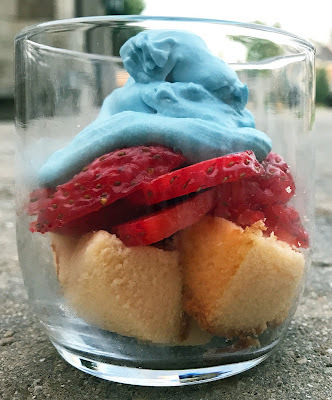 This pin has the cutest idea for a quick patriotic dessert. To make the whipping cream: Put 1 cup of heavy whipping cream, 3 T powdered sugar and 3 drops of blue food coloring in a bowl. Mix together with a mixer until the whipping cream turns to a thicker consistency. Cut the Food Cake into cubes, place in your container. Add Strawberries. Top with the Blue Whipping Cream. This pin is an easy, fun activity you might be able to do with some items you have around the house! 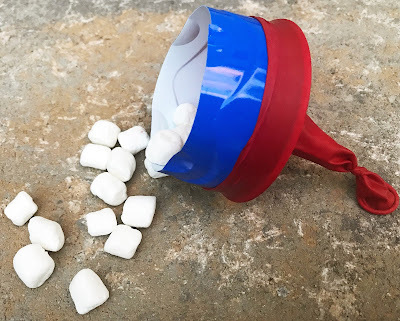 Tie a knot on the bottom of the balloon and put it over the top of the cup. Put your confetti and/or marshmallows in the cup and shoot! Hi I am not an American but thanks for sharing these with us. These are truly some brilliant ideas and the punch and shortcake looks amazing.